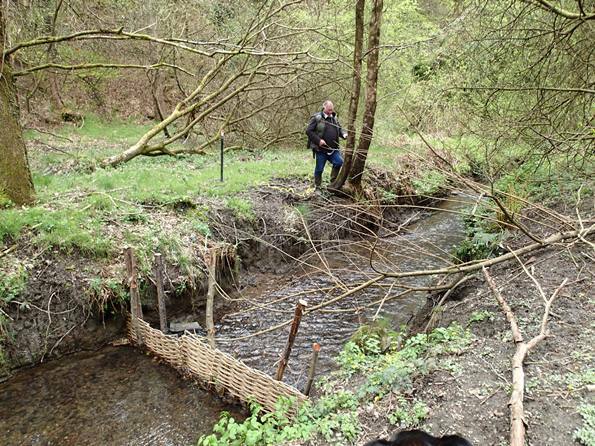 The introduction of beavers at Greathough Brook is progressing with sturdy fencing being erected now. 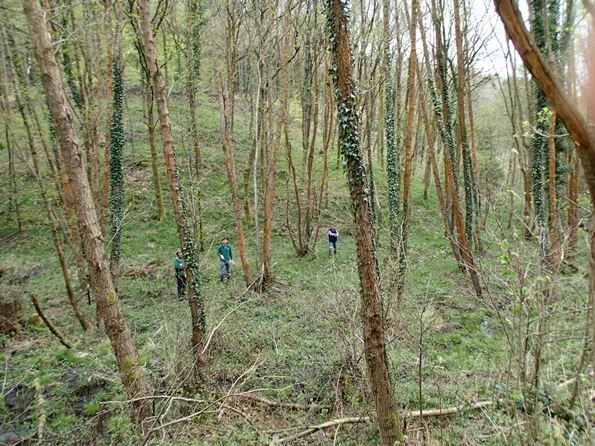 ( see HERE) A group of us turned up to do a survey of the current trees there, in particular, the willow, alder and birch. We divided into three teams with each surveying one of the tree types mentioned. We needed to count the existing trees - measure the girth at our chest height of every other tree - and calculate the height of every tenth tree. This went well, although, after three hours, we had not completed a survey of the whole valley as there are hundreds of trees there! We will be carrying on with this in the near future. 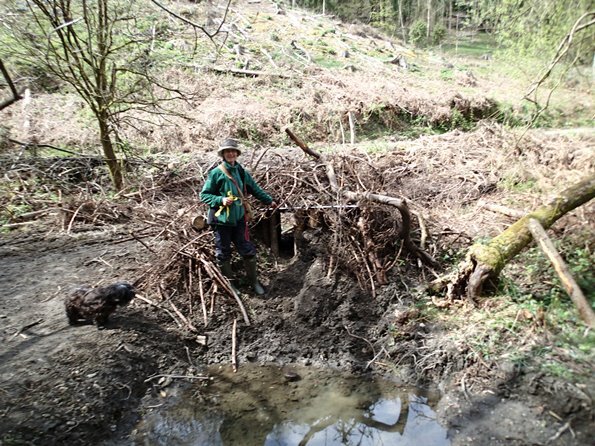 An enticing but basic little beaver lodge has been built near to a pool by the brook which, perhaps, the beavers will eventually enlarge..... maybe! There is also a temporary weir near to the beaver lodge as this part of the brook has high banks which should encourage dam building. Surveyors out in the woods! They are actually standing by the stream although it cannot be scene due to the number of trees and growing plants.